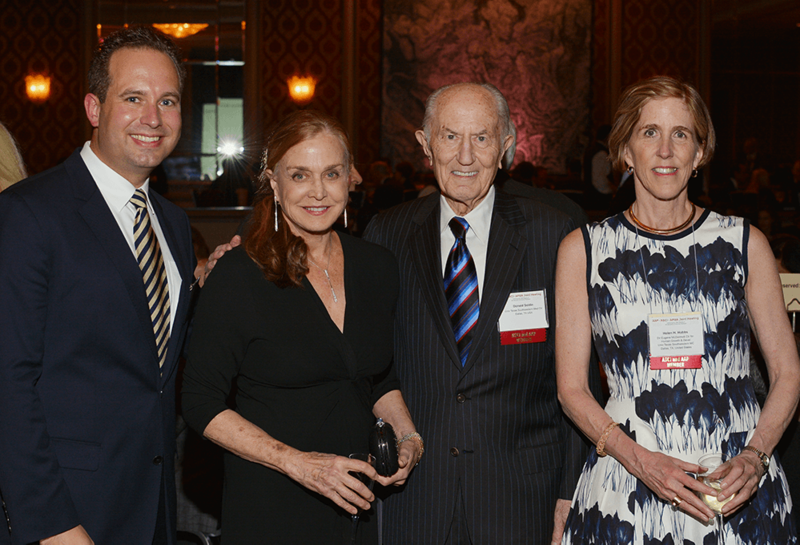 In 2015, a celebration of Dr. Seldin’s career marked the creation of ASCI’s Donald Seldin~Holly Smith Award for Pioneering Research. 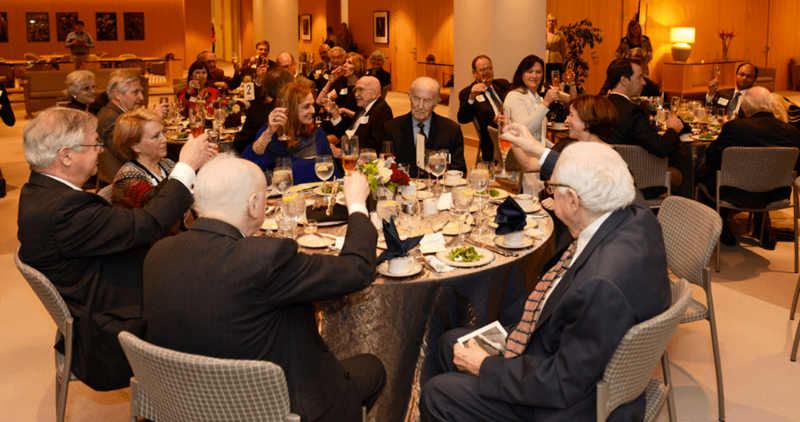 Dr. Helen H. Hobbs was instrumental in bringing together Dr. Seldin’s colleagues and trainees at the “Celebrating the Leadership and Mentorship of Donald W. Seldin, MD” dinner hosted at UT Southwestern on February 20, 2015. Dr. Seldin with his wife, Dr. Ellen Taylor Seldin. From right, Drs. 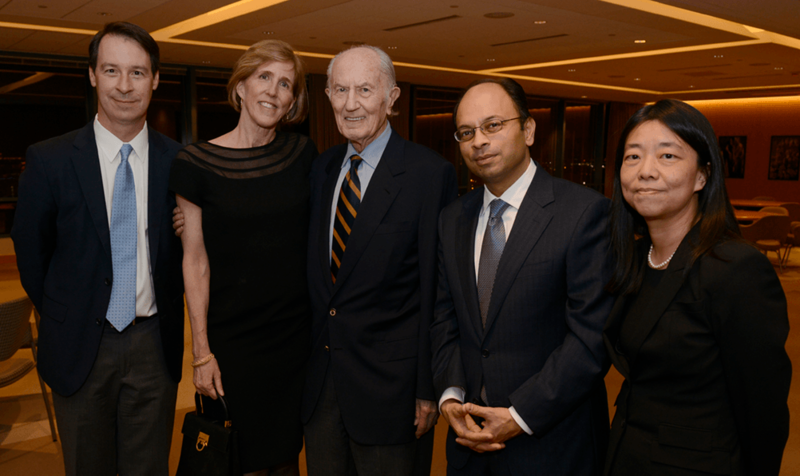 Peter Tontonoz (2013-2014 ASCI President), Helen Hobbs, Donald Seldin (1965-1966 ASCI President), Mukesh Jain (2014-2015 ASCI President), and Vivian G. Cheung (2016-2017 ASCI President). One of the evening’s toasts. 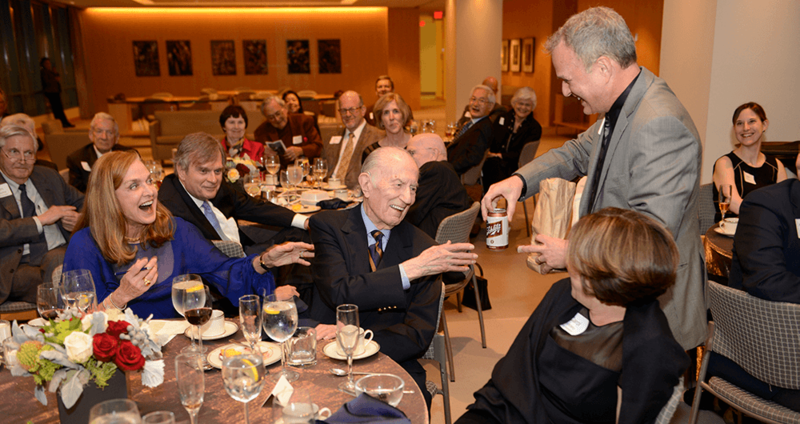 Dr. Matthew Breyer, presenting Dr. Seldin with a special after-dinner drink. 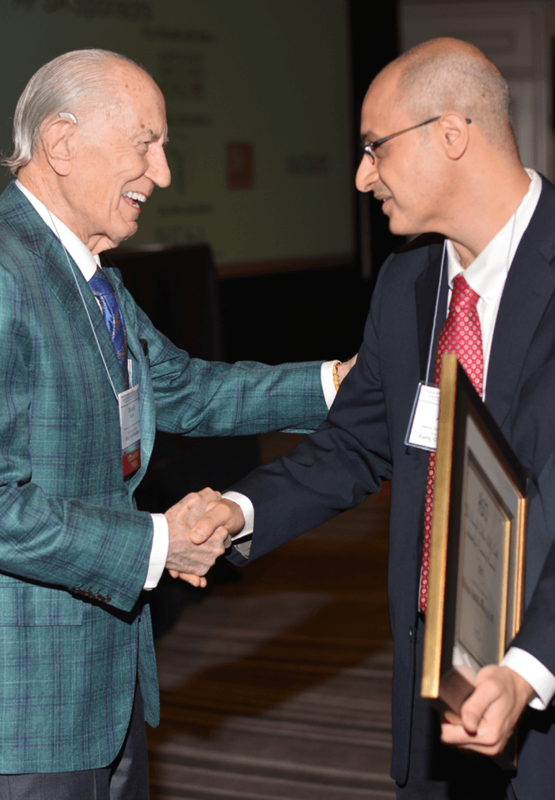 The Seldin~Smith Award was formally launched in 2016, with the recognition of the first recipient, Christian Schaaf, MD, PhD, followed by Omar I. Abdel Wahab (2017), and co-recipients Anna Greka, MD, PhD, and Deepak Nijhawan, MD, PhD (2018). Dr. Schaaf with Drs. Taylor, Seldin, and Hobbs, at the 2016 ASCI Dinner & New Member Induction Ceremony. Dr. Seldin congratulates Dr. Abdel-Wahab at the 2017 AAP/ASCI/APSA Joint Meeting. The following is an excerpt from Dr. Seldin’s 2012 interview in the JCI’s Conversations with Giants in Medicine series.